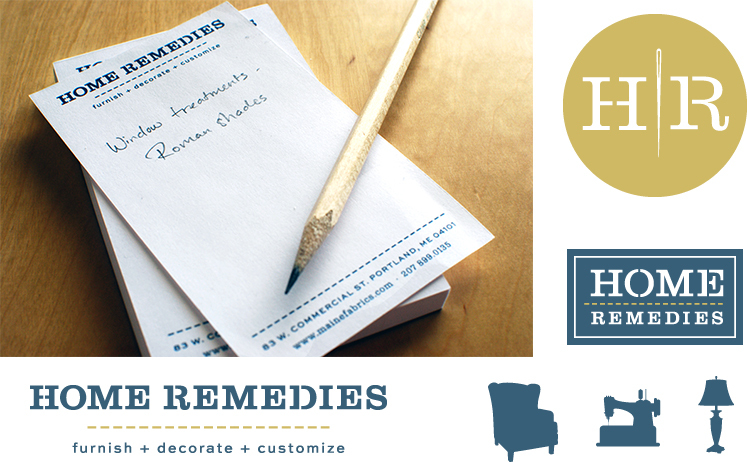 Home Remedies is a home furnishings store that also offers designer fabrics, custom upholstery and sewing services from a spacious location in an old match factory on Portland's West Commercial Street. Home Remedies' exclusive product lines and custom upholstery services make the retailer a valuable destination for anyone looking to create a unique space in their home. We worked with the company to develop a brand that centered around a new tagline that encompassed everything they offered: Furnish, Decorate, Customize. The resulting brand is visually cohesive and positions Home Remedies at the forefront of home goods purveyors in the area.